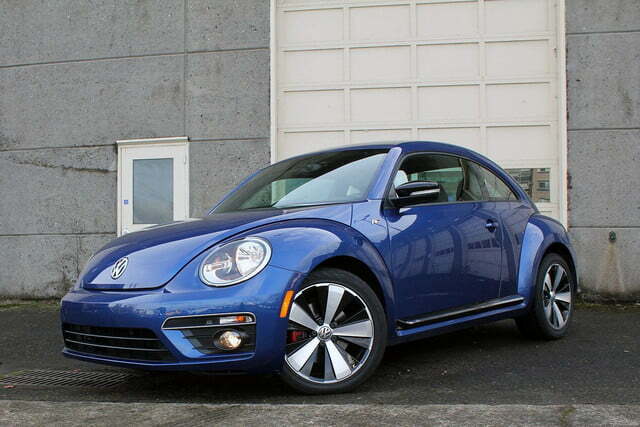 The Beetle R-Line has a lot of good qualities, but unfortunately these don't add up to a truly good car. 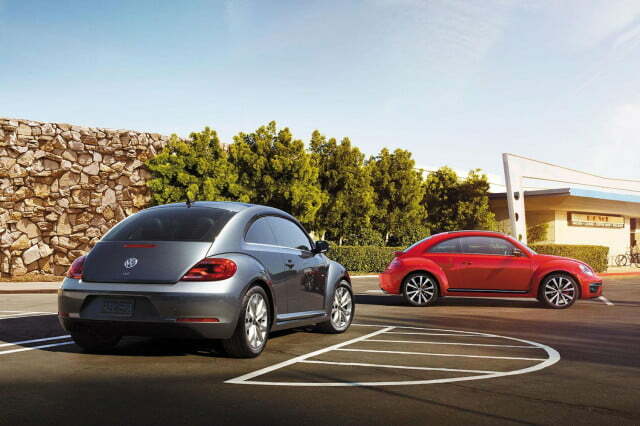 Instead the Beetle is stuck in a no-man's land between being a hot hatch and styling accessory. Sometimes a car is more than the sum of its parts, and those are rare and joyous occasions. Even more rarely a car is less than the sum of its parts. Sadly, that’s where I found the Volkswagen Beetle R-Line. 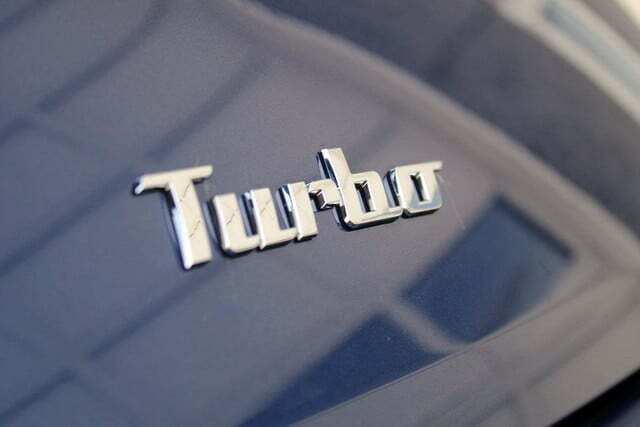 The turbocharged Beetle has a bevy of good qualities: an excellent engine, sharp dynamics, and a number of excellent styling elements. 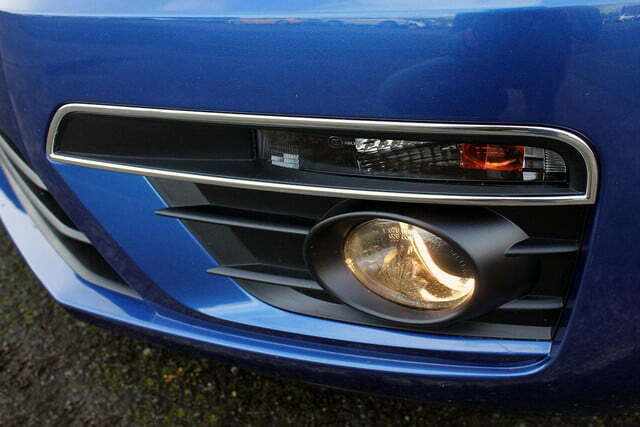 Unfortunately, they just don’t quite cohere into a truly good car. In part that is because of the Beetle’s flaws, which I will get into later. 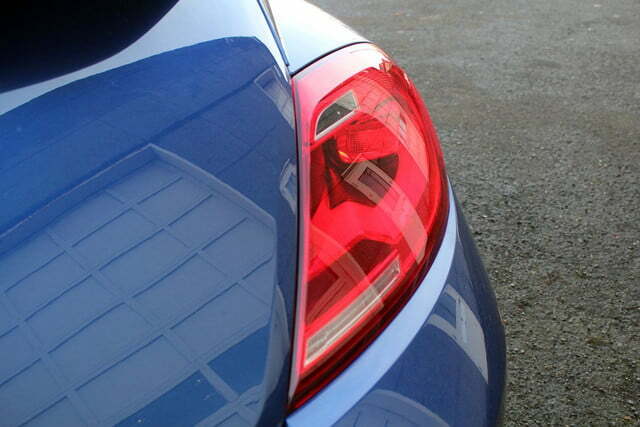 Ultimately, though, I think it is also down to the Beetle’s amorphous status as part fashion item and part hot hatch. 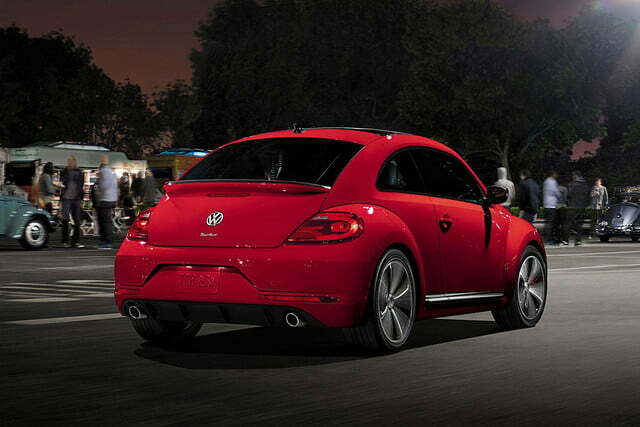 Looking at the Beetle R-Line’s facts and figures, it seems like a pure hot hatch. It comes with VW’s 2.0-liter TFSI four-cylinder engine that churns out 210 horsepower and 207 pound-feet of torque, good for a 0-to-60 sprint of around 6.7 seconds. 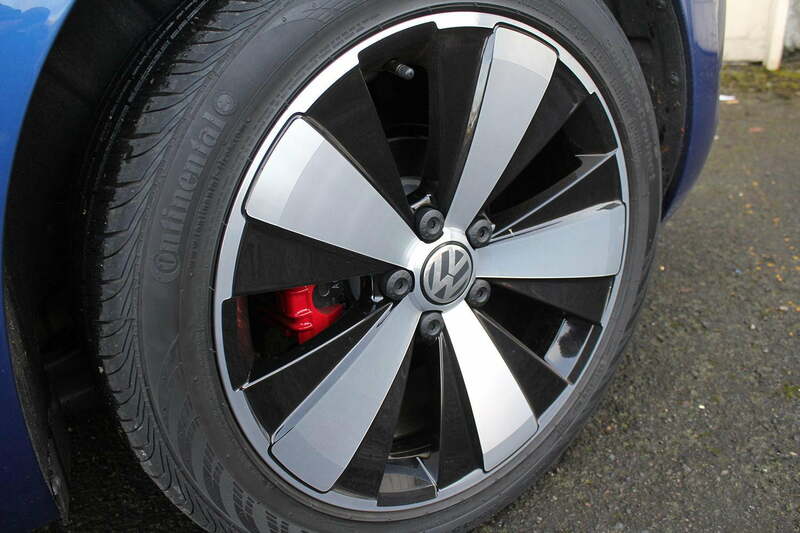 It has three doors, a six-speed manual, a flat-bottomed steering wheel and a sporty sounding “R” in the name. It also drives well. This shouldn’t come as a surprise, because underneath the Beetle R-Line is largely identical to the last generation of VW Golf GTI. Despite the age of these bits, they serve the GTeetle (my name for the Beetle R-Line) well. Handling is crisp, with typically precise Teutonic steering, and acres of gothic grip. It is possible to take corners in the R-Line at frighteningly high speeds. 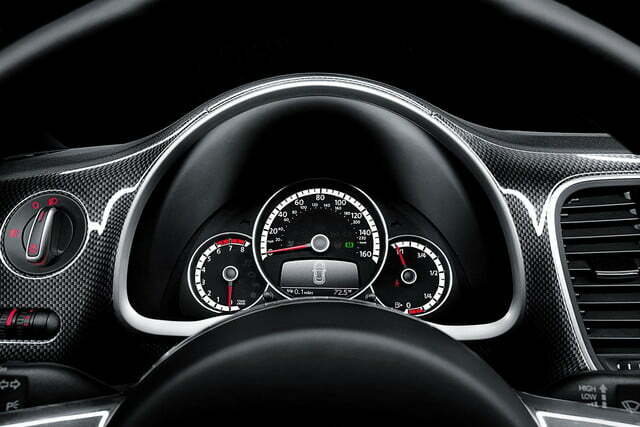 To reach those speeds, the driver can enjoy what is probably the car’s best feature: its engine. 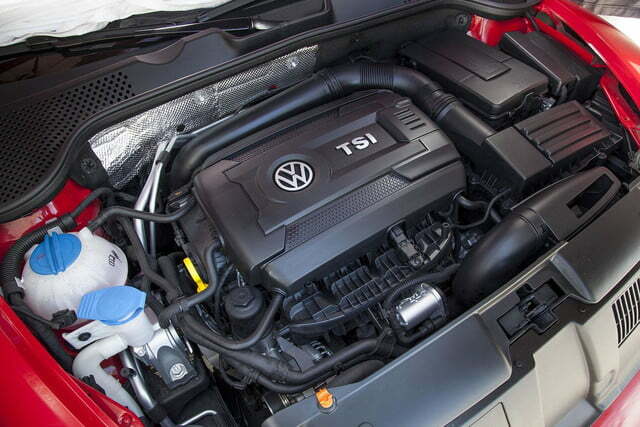 The TFSI powerplant feels deceptively large and meaty, despite its 2.0-liter displacement. This is thanks to the hefty wallop of torque available from the turbocharger that arrives accompanied by a baritone thrum. 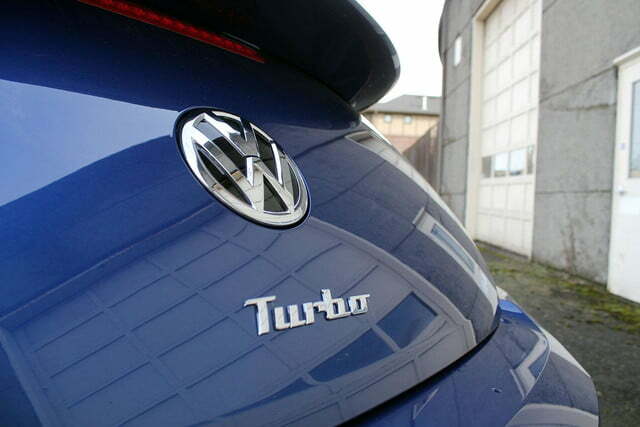 There is a certain amount of turbo lag, as full power doesn’t seem to arrive until the turbo hits 20 psi. On my press demonstrator, this was relatively easily reached thanks to the six-speed manual transmission. I am torn about this transmission. On the one hand I was overjoyed to find a manual, and, once in the groove of shifting, the Beetle offers rewarding gear changes. On the other hand, I found the transmission’s layout more than a bit frustrating. The entire unit seems to be canted towards the right, with reverse sitting where first gear normally would. 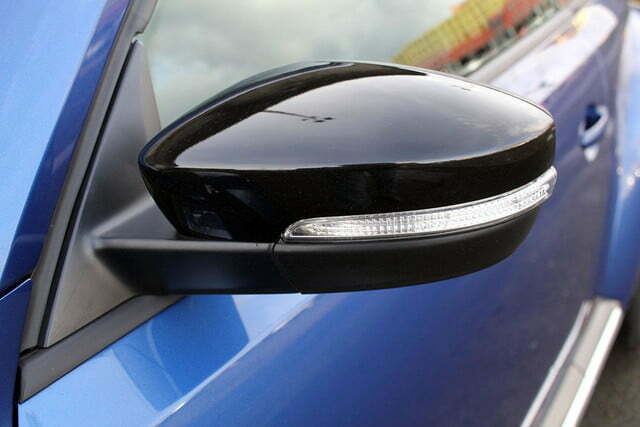 And fifth gear feeling somewhere between the passenger’s groin and their wing mirror. This layout was consistently confusing, and helped me to miss several shifts. Still, the GTeetle remains an undeniably fun car to drive; it is powerful, nimble and communicative. If dynamics were all there was to it, the car could ride off into the sunset a success. My press demonstrator cost $26,015 and came with essentially nothing. It lacked heated seats, infotainment, a reverse camera, adaptive cruise control, power seats, and just about every other feature buyers have come to expect from other economy automakers for a similar price. 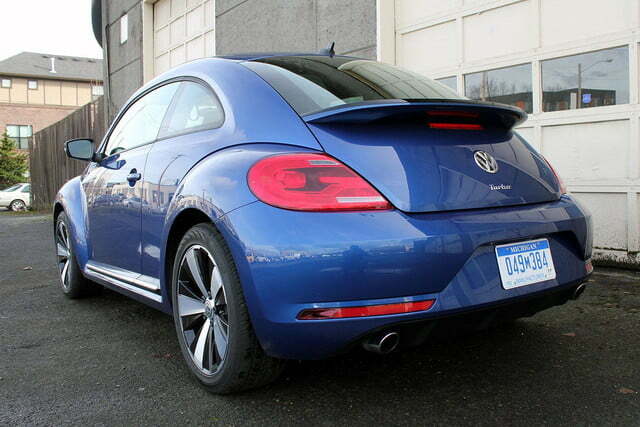 The Beetle R-Line isn’t a bad car; it is fun to drive and — at least to certain people — looks great. I expect a few older crustier readers are now clearing their throats for a good harrumph about how they don’t want any of those things anyway. That, however, is only part of the point. 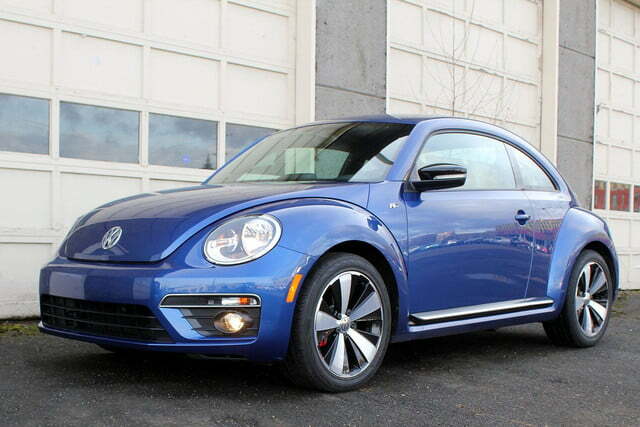 Despite being naked, the Beetle R-Line costs as much or more than a great many faster and better equipped cars including, the Focus ST, Fiesta ST, Civic Si, and Golf GTI. 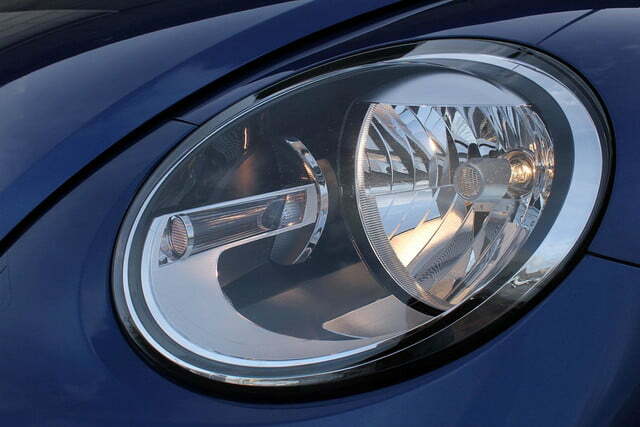 The mighty Subaru WRX starts at just $27,090 just barely a thousand more than the Beetle R-line. 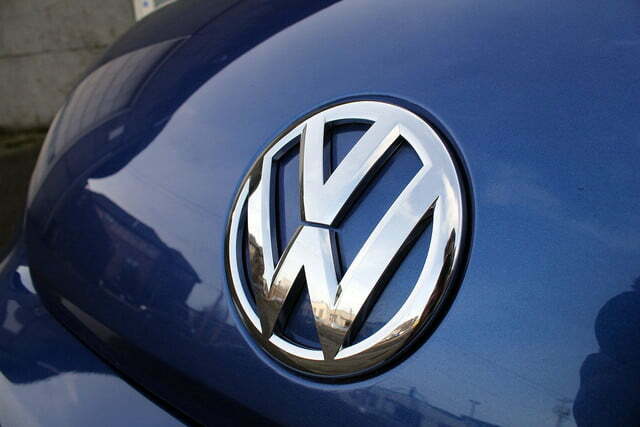 These cars are all considerably faster than the Beetle R-line, not to mention larger. 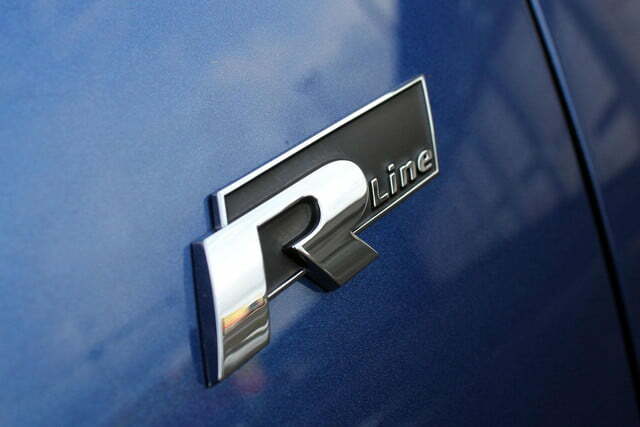 So if buyers aren’t getting equipment or segment topping performance from the R-Line, what are they getting? In a word: style. The Beetle may have tiny rear seats, very little cargo area, and not much more standard equipment than it did 40 years ago. It does have style inside and out, though. 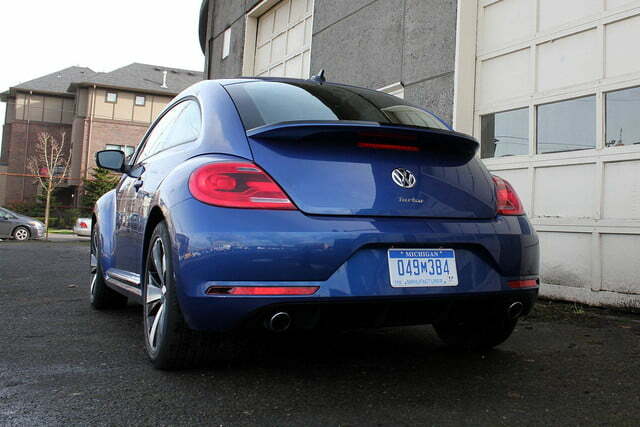 I think the current generation is by far the best-looking Beetle ever, and the R-Line wheels, badging, and ducktail spoilers give the car some much-needed menace. 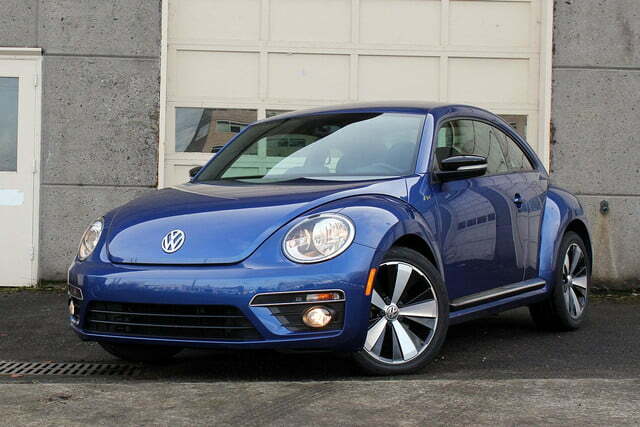 The Beetle R-Line may be going for a more serious performance look, but don’t let that stop you from leaning into the car’s iconic cuteness. Flower power! Need we say more? Owning a Beetle is owning part of one of the great icons of the automotive world, so take the time learn a bit about it. While the interior may be small, it is also well designed. 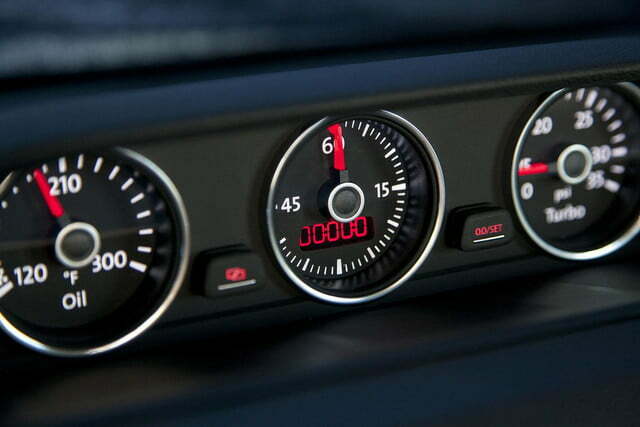 I particularly like the Porsche-y “sport gauges” mounted in the center stack. They are both inherently good looking and offer just the right amount of retro flair. There are some unfortunate retro features as well. 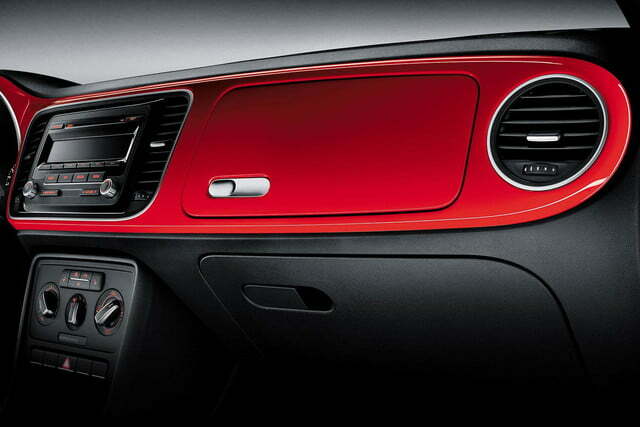 The entry level Beetle R-Line comes with a standard key — keyless go is only available on the loaded $30,525 model. That, in of itself, is perfectly fine, but it also has an old-school locking ignition, which I discovered when I made the mistake of turning the wheel without the key in the ignition. The steering and ignition then locked and it took me five solid minutes of wiggling and – eventually — brute force to get the key to turn. This is a problem I didn’t mind on my first car, a 1982 Volvo 240, but on a brand-new $26,000 car it was quite frustrating. 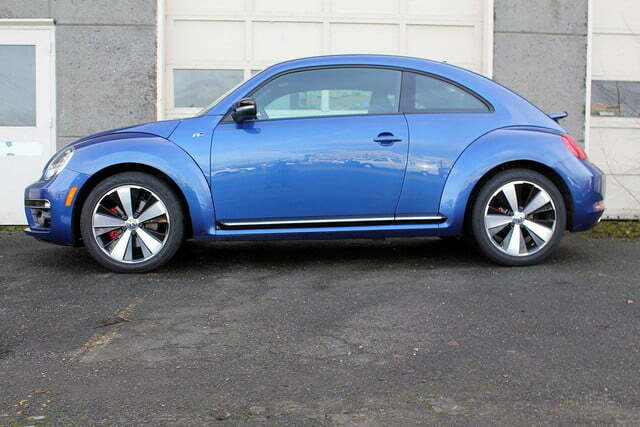 Frustration aside, the styling suggests the Beetle R-Lines real niche. 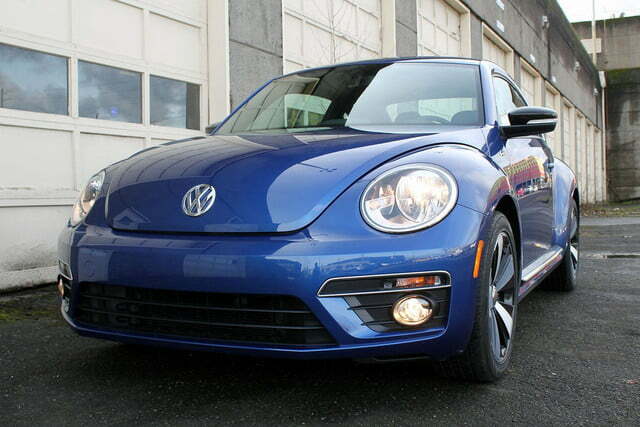 Despite the added performance, the Beetle R-Line’s competitors remain other cute, retro-inspired, European compacts like the MINI Cooper Hardtop, or the Fiat 500. 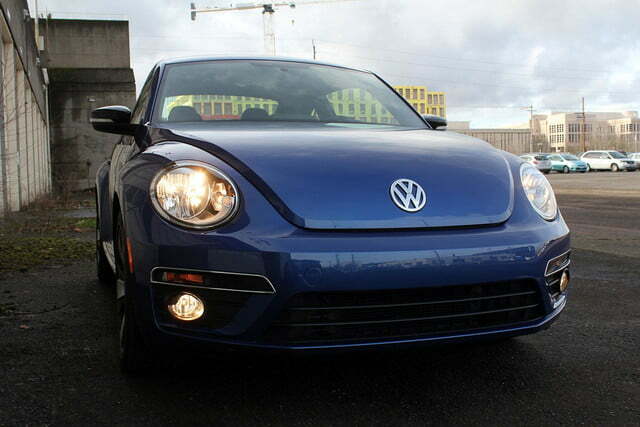 When compared to those the car, the Beetle occupies a comfortable middle ground. The Fiat 500 is a tiny budget city car that is likely to fall apart, and the MINI is now shockingly expensive. 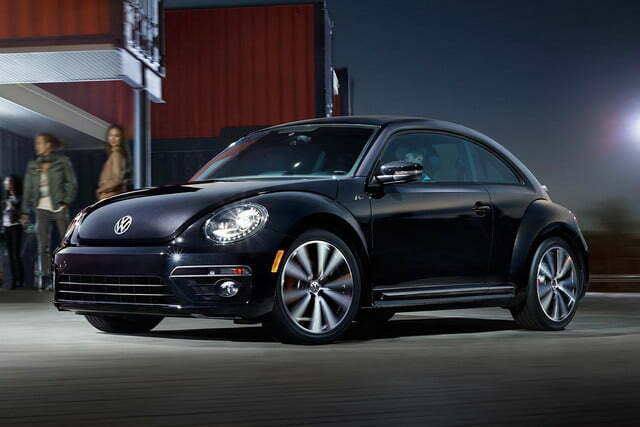 The Beetle remains in reach of the average buyer, but doesn’t have the same whiff of cheapness as the Fiat. 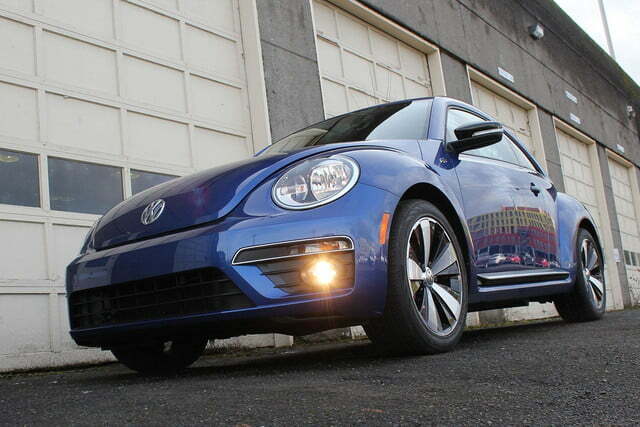 The Beetle R-Line isn’t a bad car; it is fun to drive and — at least to certain people — looks great. The problem is that the R-Line performance adds significantly to the price, without really making it competitive with other hot hatches. The result is a car that just doesn’t make a ton of sense. 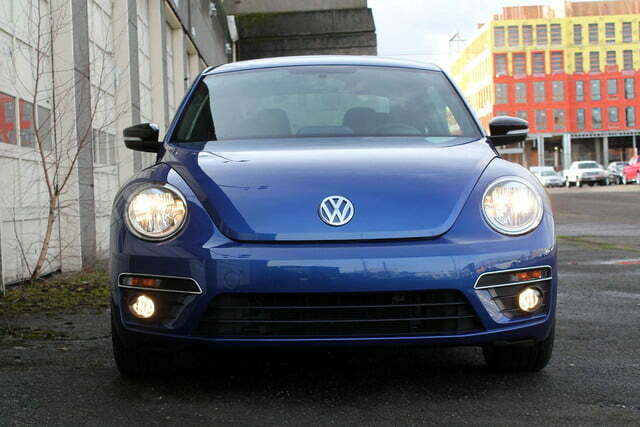 If buyers want a car with the Beetle’s unique style and image, then the other variant are a much better deal. 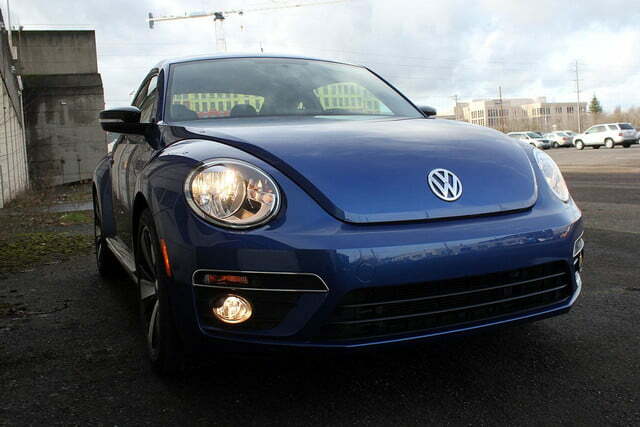 The standard Beetle starts at just $20,695 and the incredibly efficient TDI runs just $24,795. These cars might not be quite as fun to drive, but if fun is what consumers want, then they should look at a Golf GTI. In the end, the R-Line might only really make sense for people who have their hearts set on a Beetle … but also want to go fast.